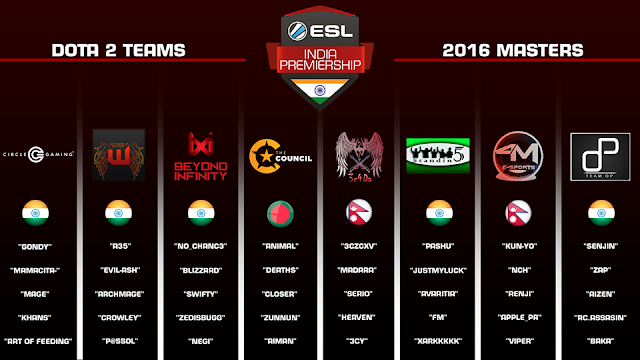 This is for the first time that any Dota 2 team from Nepal got a direct invite from the international tournament and is going to compete there. ESL India Premiership consist of 4 games Cs:Go, Dota 2, Just Dance and Clash Royale. There is a total prize pool of INR.42 lacs for these 4 games. Dota 2 total prize pool is INR. 18,75,000 which is very big indeed for Nepalese Dota 2 players. Since these two teams is competing in the International Lan Events for the first time, we can hope for some good plays from them. What we can do is wish 3c4da and 4merical best of luck and watch their game live to support them as much as possible. The tournament will start from Dec 7 and ends on Dec 11. Didn't expected two team from nepal will go to india.